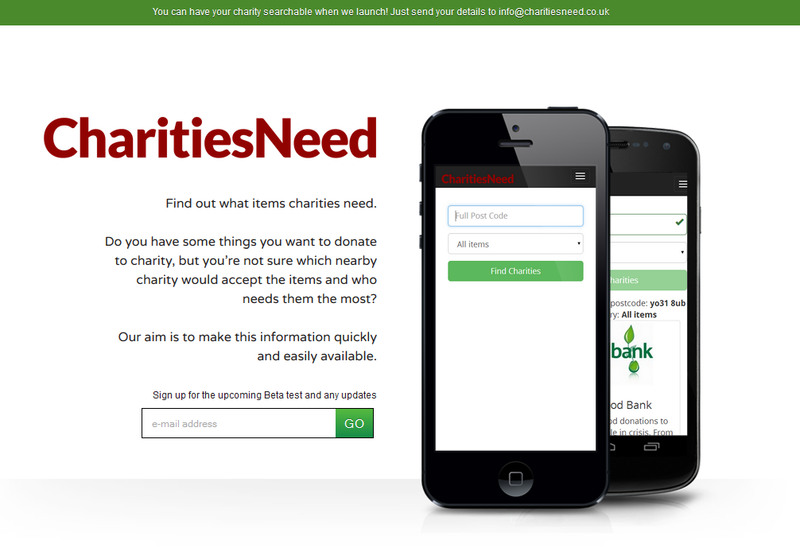 CharitiesNeed is one of our recent projects and the main goal behind it is to make donating items to charities easier and quicker. In essence, it’s an app where you (the donor) specify your post code and the category (e.g. Clothes, Bric a brac, Food, Books) of the item or items you wish to donate and CharitiesNeed shows the charities listed in the database ordered by distance. 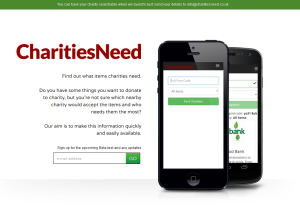 With this, the plan is that you can pick up any item and by using CharitiesNeed, find the nearest Charity which would be happy to take the item. For more information sign up to the mailing list. We’ll also notify you as soon as it’s released. Charities interested in registering can email info@charitiesneed.co.uk for more info.